It is a rare occasion that I post a deal on the blog. But this one was just too good to pass how. Free diapers anyone? Ummm, yes please! 1. Sign-up with TopNotch using this link! 2. Next click this link to read through the specifics of the deal. Look for the orange button that says, “Get Cash Back” and click. It will take you to the exact product the deal specifies on the Walmart website. The deal is only until Tuesday, July 15th – so hurry before time runs…or the diapers do! 3. 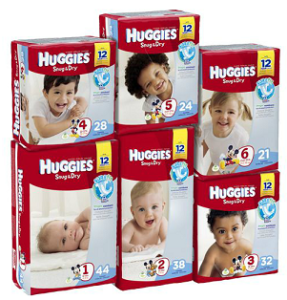 Add one (and only one) package of diapers to your cart. Do not add anything else to your cart (otherwise you won’t get the cash back). 4. Make sure you check “Site to Store” and pick up the package the next time you are at Walmart. 5. Top CashBack will put $9.90 in your account within 30 days. They payout through PayPal or direct deposit. Note: You can only get one free package of diapers per account, but you can also sign your husband up for an account too and score another package for free! Yes, I have used TopCashBack, and yes, I did purchase this deal. I just couldn’t resist passing up on a package of free diapers! This entry was posted in General and tagged Adoption, baby, deals. Bookmark the permalink.